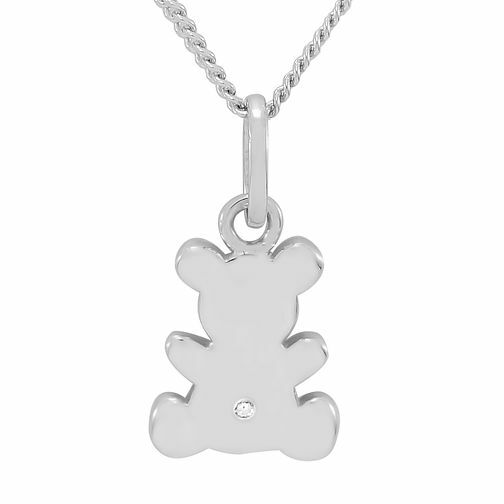 A stylish children's teddy bear pendant crafted in sterling silver and set with a single diamond. An ideal gift for a christening or birthday. Diamond Wishes Silver Diamond-set Teddy Bear Pendant is rated 5.0 out of 5 by 1. Rated 5 out of 5 by Anonymous from Beautiful gift for a baby I bought this for my niece for her 1st birthday. I thought it was different as it had a beautiful diamond in the teddy bears tummy.